Coffee Farm Coaster - Temple Coffee Roasters Inc. Here at Temple Coffee, we're proud of our Farm-to-Cup sourcing program. We aim to ensure the highest quality cup while building sustainable direct relationships with the coffee farmers we source our beans from. It's one of our core beliefs, and we're proud to work with and maintain relationships with coffee producers. 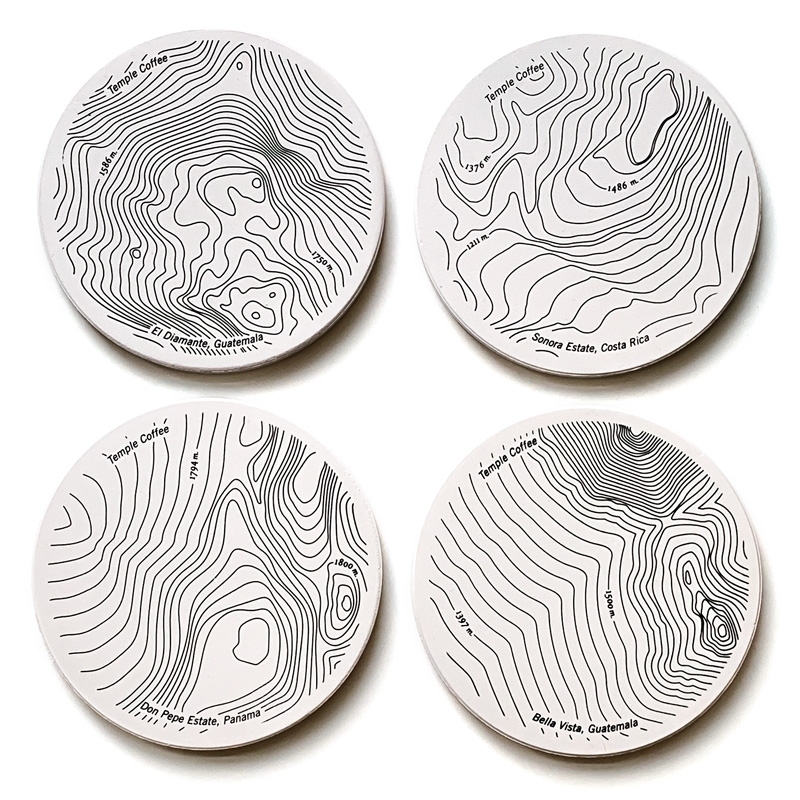 Each coaster features the topographic map of the four coffee farms we have the strongest relationships with. We've been working with some of these farms since 2005. So when you put your cup down on our farm coasters, you'll give our friends and coffee producers a brief moment to celebrate their hard work and spirit. Coasters are made of absorbent stone - so don't worry about condensation from iced drinks! Collect them all or grab a set of your favorite farm.